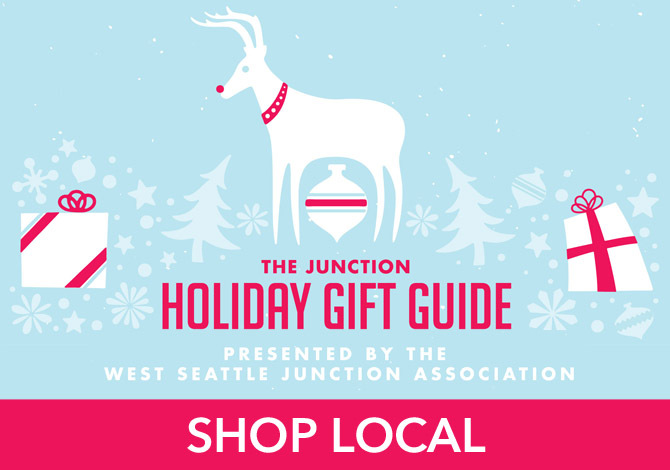 This holiday season, The Junction is taking the guesswork out of gift giving. We’ve gathered up our favorite ideas from our local Junction shops and brought them together in one place to showcase what shopping local has to offer you. Do you need a present for a family member, a friend, or a co-worker and not know where to start? This is the place to go! Browse by category to find gift ideas that will certainly wow and impress your family and friends, while also supporting your local neighborhood shops. This year give a gift that means so much more – give a gift that supports your local community. During each week of this holiday season, we’re highlighting a couple different categories in the Gift Guide to bring our best ideas directly to you. Today we’re talking about Gifts For Kids (& Pets). Holiday shopping for munchkins can be a real treat. The pure anticipation can’t be beat. Kids tear into their gifts, so excited and full of wonder. And don’t forget the fur babies (a common holiday blunder)! They might ask for a shiny new collar or leash to show off on their walk, if only they could tell you, if only they could talk. And a squeak toy, you just can’t beat, except with a stocking full of treats. Does your toddler love to build giant towers? Does your preschooler dig stuffies and dolls with superpowers? For the active wee one, you may consider a trike. For the sibs, maybe scooters or big kid bikes? A fun helmet is sure get them all psyched. Craft kits are a hit if you’ve got artsy tots. And little programmers will adore their own moonwalking robots. Curious Kidstuff is the place to go to find fun toys, interactive games, and educational products for kids of all ages. The store is a treasure trove! They stock many of the major brands, like Lego and Playmobile, as well as toys and products from smaller companies too. Their extensive selection is offered in one of the most imaginative and fun spaces you can find, with murals and displays to delight both young and old. Northwest Art & Frame has creative kits and sets for children who like make fun things and explore their artistic side. Northwest Art & Frame’s friendly staff can personally help you to choose the right set for any child from their large selection. Just tell them a little about who you’re shopping for and they can offer a range of kits. They can even suggest add-ons to make it more personal like a fun set of markers or pens. Click! Design That Fits is featuring one of the “it” toys of this holiday season, the Ozobot Tiny Robot. This amazing toy allows kids to learn all about coding and robots. If you like the idea of picking a gift that is both fun to play with, and yet has the something valuable to teach, this is a great choice! Many of us recall receiving that one special gift during the holidays as kids. For many of us it was a bike. You can create this classic holiday memory for your child or grandchild with the help of West Seattle Cyclery. They can guide you in choosing a customized biking kit for any child, including important accessories such as helmets and lights. Do you have younger kids on your list, or maybe a couple with a new addition to the family? City Mouse Studio is the place to go to find clothing, toys, and other unique and well-designed products for both families and kids. Are you taking holiday photos this year? Get a special outfit at City Mouse from their wonderful collection of high quality kids clothing. Your cards have never looked so good! Maybe your kids are more of the furry kind? Next-to-Nature is the place to go to make sure your family pet feels loved and included this holiday season. They have a great selection of products for both dogs and cats, including their fun holiday lines. 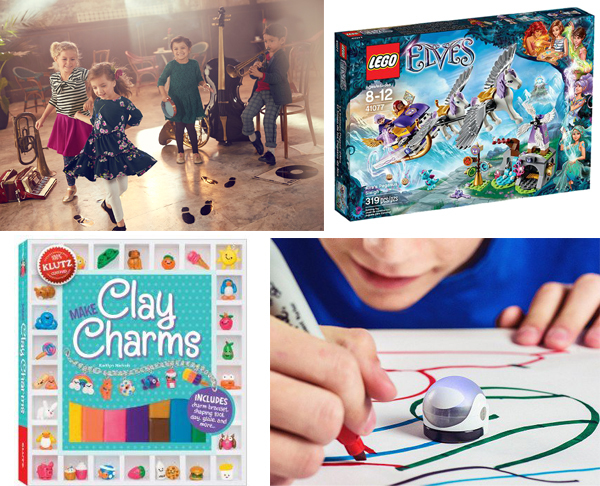 Check out the Holiday Gift Guide to see the full selection of gifts and shops featured under Gifts For Kids (& Pets). There you’ll find shopping lists, maps, links, and other fun tips and ideas to help you make-merry this season!